There’s a Gospel story (Matthew 14:13-21) about a day when Christ’s abundant life was on full display! It begins when Jesus withdraws from the crowds, and goes by boat to a deserted place by himself. However, the crowds follow him on foot. Among them are many sick people, and Jesus is moved with compassion. The day soon passes and evening comes. Jesus’ disciples urge him to send people away into the surrounding villages to get something to eat. Perhaps they are exhausted by the overwhelming need. You and I can handle only so much too and we get “compassion fatigue.” We grow weary because of the needs presented by particular circumstances. We see the pain etched on children’s faces as we watch the evening news – children in Syria and Lebanon, Israel and Gaza, Haiti, Honduras, or Chicago’s south side – and it is often more than we can bear. We work all day long doing good things for people, giving back to the community, making the world a better place, and at the end of the day we just want to kick back and enjoy a nice glass of Chardonnay. We don’t want to worry about families without health care, workers losing their jobs, homeless persons sleeping on the church steps, soldiers on the battlefront, or an endangered planet. We don’t want to worry about whether there is still racism, sexism, or homophobia working their ugly campaigns of deception in what we wish were a more humane and decent world. We don’t want to deal with other people’s problems. That, my friends, is our human reality. The needs are great. The work of justice and compassion never ends. We get tired. We want an easier way. I believe the reason we sometimes grow weary is because we haven’t reached into the well and taken a drink of living water in awhile. The reason we grow weary is that we have bought the cynical, secular paradigm that says this life is based on scarcity. Don’t you hate that? Don’t you hate being reminded that it isn’t all about you? Don’t you hate the feeling that Christ has higher expectations of you than you do? Be honest now! 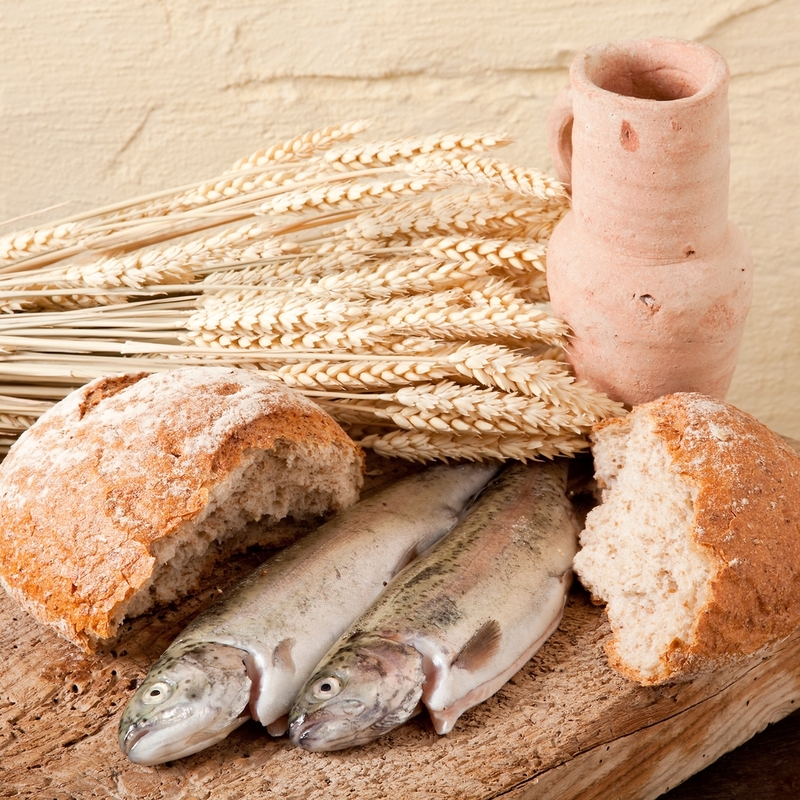 The disciples reply, “We have nothing here but five loaves and two fish.” Scarcity! There’s not enough, Jesus. Get your head out of the clouds and listen to the bean counters for a change. But Jesus says, “Bring the five loaves and two fish here to me.” And he has the crowds sit down on the grass. He takes the loaves and fish, and blesses and breaks the loaves. He gives the food to the disciples and the disciples give it to the people. Jesus demonstrates God’s generosity. Jesus makes the grace and goodness of God visible to the crowd. Jesus breaks the bread of abundance and shares it with all. God is the one who gives to us in abundance, and it is from abundance, not scarcity, that we are invited to give. Too often the message is scarcity on the lips of those who profess to follow the Lord of abundant life! Where can your faith become more life-giving as you bear witness to God’s abundance? How blessed we are! Many thanks for the wonderful entries you post.